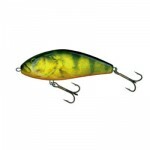 Big McRubber has a lot of similarities with its smaller sibling, McRubber, and has proven itself very effective on large northern pike and musky. 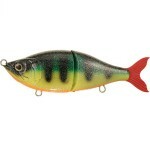 The increased size gives the bait a softer roll and slower movement. Besides the difference in size this bait comes with a round paddle instead of the original square paddle that is found on the McRubber. 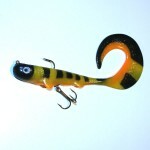 Tags: Big McRubber, McRubber, softbait, Svartzonker, and swimbait.